T/5 Grover D. Rodgers, son of Mr. and Mrs. N. R. Rodgers, attended school in Colbert; husband of the former Willis Eunice Seely. Entered Army in Aug., 1942, trained in Camp Roberts, Hammer Field, Cal. 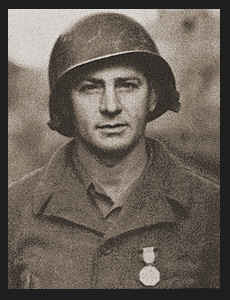 ; served in England, France, Germany, Luxembourg, Belgium, Italy; was discharged in Oct., 1945. Awarded Good Conduct Medal, EAME Ribbon with four Battle Stars, Soldier's Medal.